The more I dove into free vintage hat patterns, the more intrigued I became! 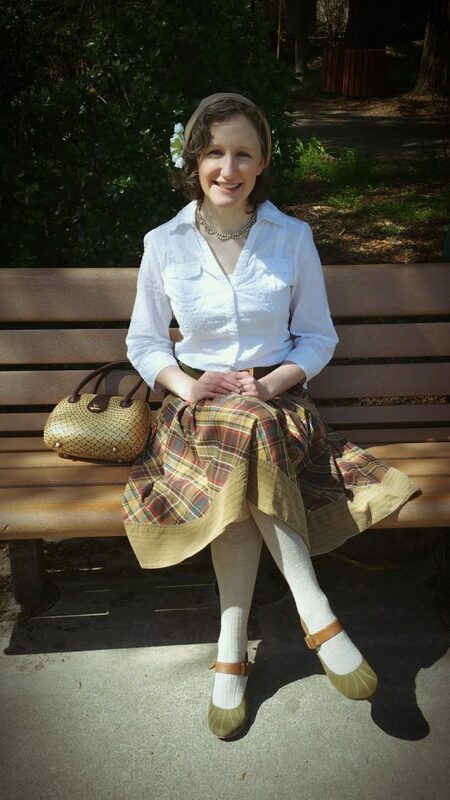 After making the 1930’s/1940’s pattern shown in last week’s post , I chose a new style from the 1950’s! There was really no excuse to not try this pattern, as the pattern pieces, photos of the finished product, and (gasp!) directions for construction were all included! This is the pattern, which you can find in its full version here. 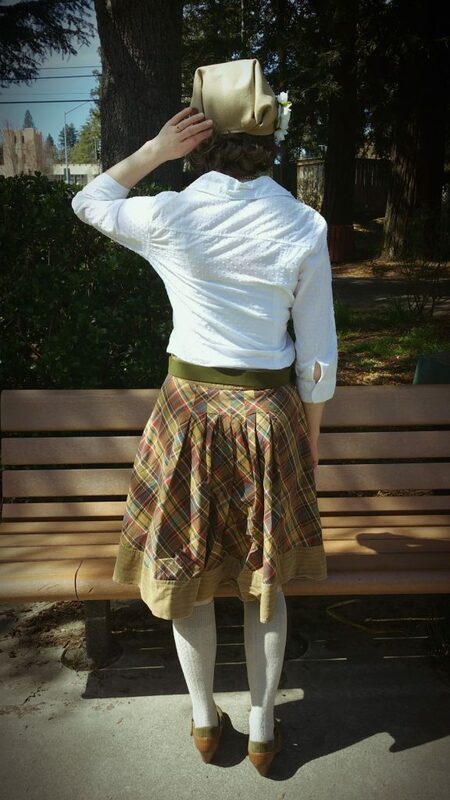 After reading the cute descriptions of each style, I decided to attempt the “Back-pleated Hat” design. The pattern directions described pleating a single piece of felt into an almost pill-box-like hat shape. The style looked cute and relatively simple. I began by enlarging the pattern pictures on my photocopier until the little boxes on the pattern equaled square inches. I then cut out my pattern on heavy felt. To make the hat a bit bigger, I decided to add a brim. The brim consisted of a half-moon shape that followed the front edge of the main hat piece. I cut two of these half moons and one large main hat piece. I sewed the half moons together along the outer curve. I made little snips in the seam allowance to help the fabric curve. I then turned the brim right-side-out. I pinned and stitched the brim to the main hat. I did my best to pleat the main hat piece according to the pattern’s directions and photo! I didn’t quite reach the results shown in the picture, but I made a similar shape! I tacked the pleats in place with tiny stitches and hemmed the raw edge at the back. Although I didn’t use it, the pattern included a bow shape to attach to the back if desired. 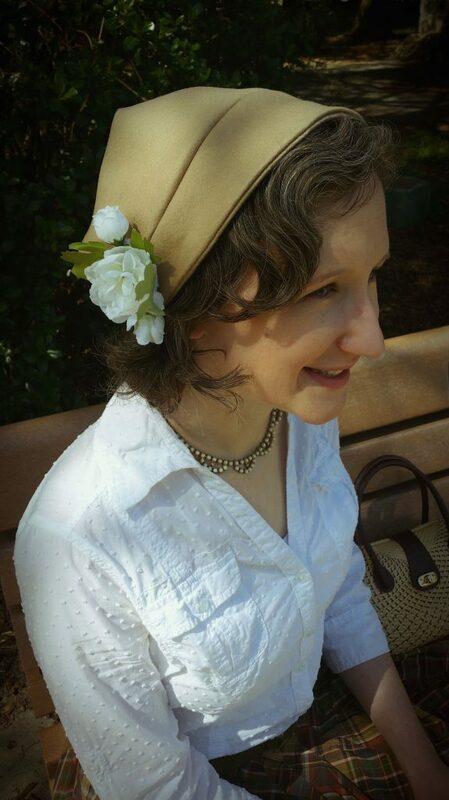 I styled my new hat with a 1950’s-inspired outfit from the thrift store! I gave the hat some flair with a homemade flower pin. Stay tuned for a pin making tutorial very soon! I like how the hat fits comfortably on the back of my head! I can definitely see myself trying other styles from this 1950’s collection! 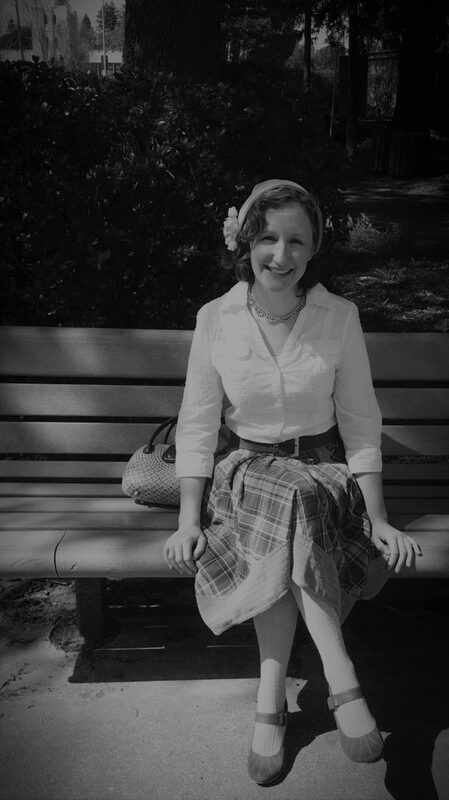 For next week, however, I will be visiting the 1920’s! Stay tuned for more vintage hats!